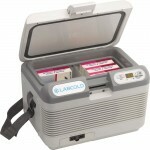 Refurbished or cosmetically damaged Labcold medical and scientific fridges and freezers at greatly reduced prices! Items are available on a first-come-first-served basis. Please contact our sales department to check details, payment options and availability before ordering. Tel: 01256 705 570 or e-mail [email protected]. Please be aware, ALL refurbished products have only a 12 months parts and labour warranty within mainland UK and that VAT and delivery is not included in the price displayed.